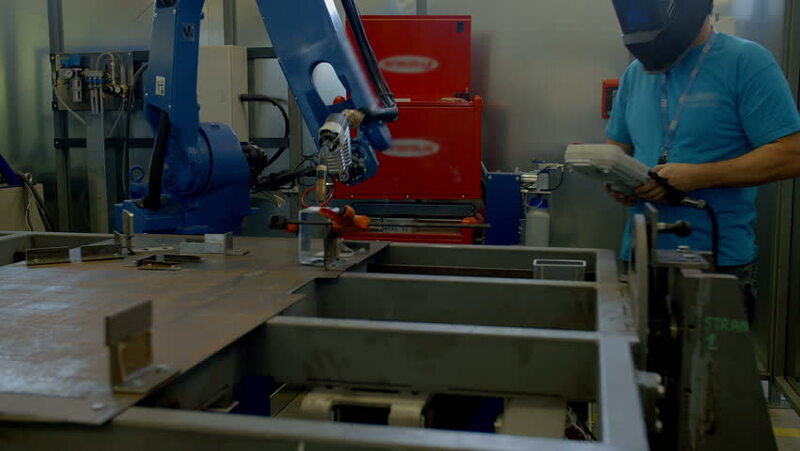 A worker in the factory is regulating a robotic drilling system with a small device. Sparks are flying all around. A man is wearing a welding helmet. hd00:35VINNITSA, UKRAINE, APRIL 26, 2018: Sewing factory. Clothing industry. Pattern of clothing. hd00:25KHERSON, UKRAINE - JUNE 8: Sale of agricultural products at the outdoor market on June 8, 2012 in Kherson, Ukraine.